Should You Listen to Stock Market Forecasts? 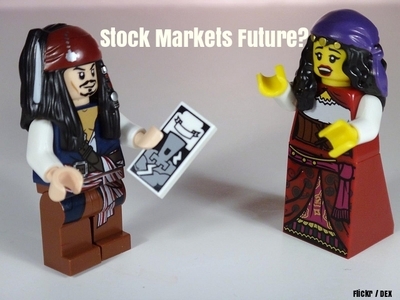 Would you go to a fortune teller for investing advice? My husband and I just got home from a wonderful week celebrating July 4th in Ptown, MA. The sculpted sand dunes were really something and the sculpted abs weren't so bad either. I could easily tout some fabulous sounding as-seen-on-TV sound bite that might catapult my reputation as a genius investment guru. But I usually resist because I don't want to demean what it really means to have a financial plan with smart financial decisions based on that plan. Your fiscal forecast should be based on your own situation, dreams, hopes and goals, not some crazy prognostication of the magical future of the stock market. Call me a tortoise if you want to. I strongly believe that smart investing over the long term is a great way to potentially achieve financial independence for a lifetime. On the other hand, if you like to live fast like Aesop's hare and try and time the market or react ahead of every piece of world news, you may end up drowning in fees and taxes, if indeed you even end up making anything. Plus, watching the 24-hour news cycle nonstop will likely give a heart attack. 1)	I hate losing my or anyone else's money - I'd rue the day someone called to say my "cocktail party tip" cost them money. Sure that Stock X doubled in the last three weeks, but who knows what will happen in the future? The bigger the run up in value, the bigger chance of a big drop. While the 'easy come' pops the champagne corks, it's the 'easy go' that doesn't go down so easily. 2)	Forecasting distracts from smart financial planning decisions - The point of a comprehensive financial plan is to create a road map to reach your financial goals over a period of time. You may have a goal for the target average return to make the financial plan run, but getting caught up in short term market fluctuations or other gibberish can really take the focus off the important steps you need to take to reach a secure financial future and retirement. If you want to reach your goals and be able to sleep at night, a sound financial plan is the best way to go. But if you always pressure yourself to pick the absolute best performing investment over every period of 82 days, 7.4 months, or 10.83 years, you will never be happy no matter how wonderful your returns actually are. 3)	There is no one-size-fits-all perfect investment - No single financial plan, account type or portfolio is right for everyone. The perfect investment just doesn't exist. Furthermore, what you should invest in for your retirement may well differ from what you'll need to set up for a house down payment or your kids' college accounts. 4)	I can't predict the future - I believe - that a well managed portfolio will be worth more in 10 years than they are today. Beyond that I have no idea what they will do from day to day or month to month. As long as accruing enough money to reach my specific goals is progressing at a steady pace, short term guesses don't really matter. To wit, it doesn't take a crystal ball to see that many people's "plans" are wishful thinking and have a big fat ZERO percent chance of getting them to their financial goals. 5)	Stock market predictions frequently fail - Even a broken clock is right twice a day. I've seen so-called "experts" throw out stock tips left and right. While some of them wind up being right, just as many turn to be out wrong, and the end results usually aren't great. In my book, it seems so much easier just to sit back and relax with a nicely allocated portfolio appropriate to your specific situation and time frames. Why take on extra stress for worse results? I also hear a lot of, "So and so predicted the 2008 financial crisis, so he's probably right about this tip." Oh really? Let's deconstruct, shall we? 1) How come he's still broke? 2) Did you not see The Big Short? Even if you got the tip, and believed in it, very few people would have the fortitude of Christian Bales' character (based on the real Dr. Michael Burry) to stick with it when the sky is falling. 3) Tons of people call every crisis. The catch is they don't always call it at the right time. I'm 100% sure the stock market will go down at some point in the future, just as I'm also 100% sure it will go up at some point in the future (just as everyone can be 100% sure that we're all going to die in the (hopefully) far future). Such prediction doth not a market guru make. I have no idea what the market will do, today, tomorrow or whenever. Historically there are more up days than down days. Either way, none of this really has very much to do with the chances of you reaching your financial goals or achieving financial independence in the long run. I'm here to help my clients set up a roadmap to their financial goals. A major part of that is helping them stick to their well-developed financial plans. Simply relieving your life of financial stress and being on track for your own hopes, dreams and life goals beats losing your shirt on a dumb stock tip any day. And that, my friends, is something you can take to the bank. Until next time, Be Fiscally Fabulous, and remember Your Money Matters. 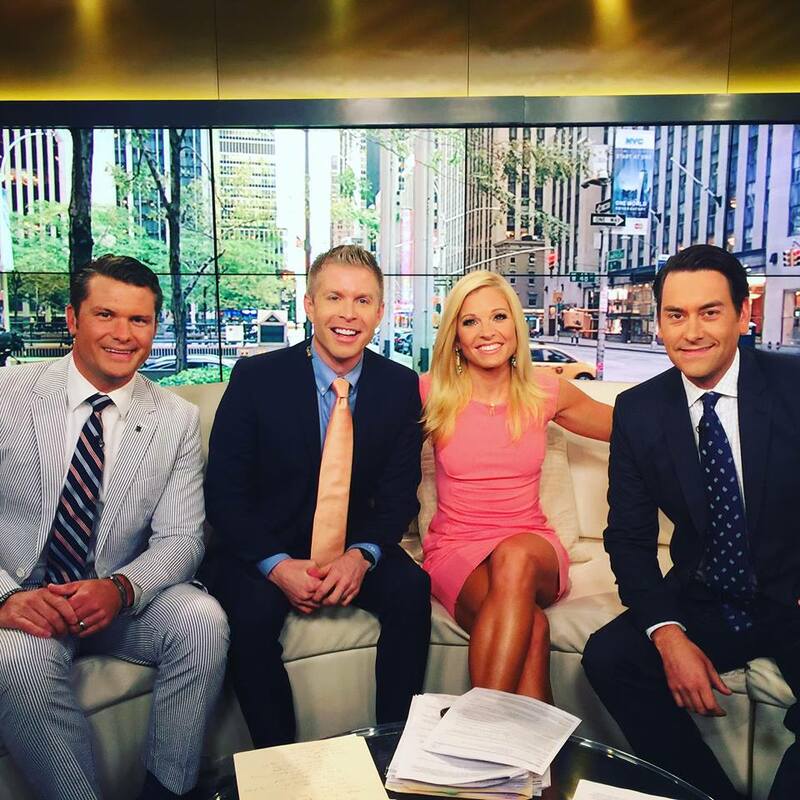 David Rae Financial Planner LA was a recent guest of Fox and Friends in NYC.